Hello Guys! Today I'm gonna share you the latest version of IDM (Ver - 6.27, Build - 5) with cracks for 32 bit and 64 bit Windows! Don't delay for a second. Download and enjoy your day . . . Box Including: IDM Installer, Installation Guide, Cracks, Marks PC Web Link. Download the IDM 6.27 (Including Cracks) from the above link. It's a zipped folder. Unzip it and keep it on a safe place. Now run the file named idm627build5.exe to start the installation (Remove previous version of IDM - if any, also Reboot your PC - if necessary). After finishing the installation, run the 32 bit patch or 64 depending on your OS. If you ever get this stupid message - Your IDM registered with fake serial number, don't worry. Simply reinstall the patch. Sometimes your IDM may ask you to update itself. Never do this. It may damage your patch. Hope you'll do great with this latest version of IDM . 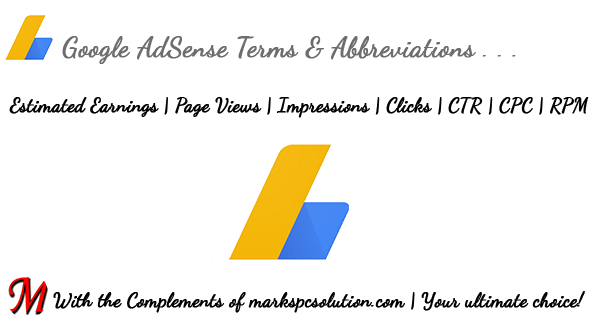 . .
Google uses some terms and abbreviations in their AdSense dashboard. If you're a webmaster and if you're working with AdSense then you should know those terms clearly. 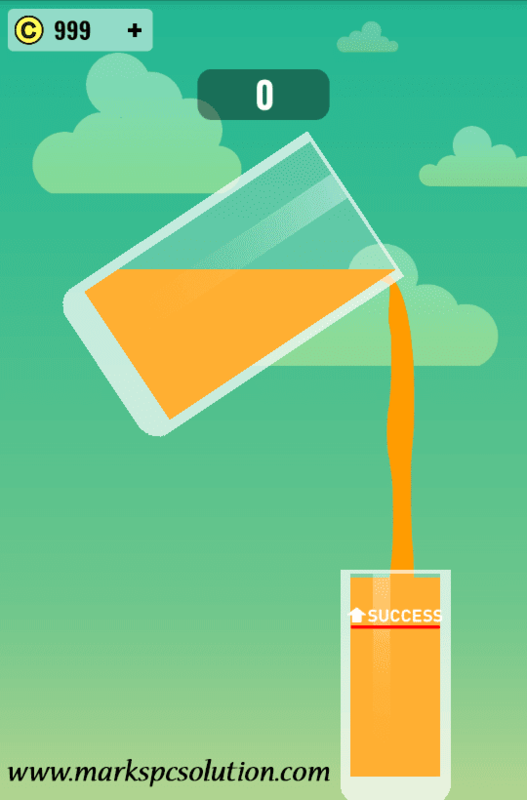 If you understand what do these mean, then you will realize what to do to boost your revenue. So guys, let's read the following sentences . . . 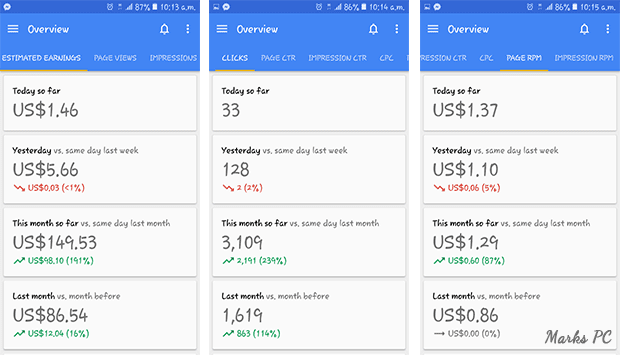 The most confusing terms of AdSense belong to the performance overview section. And I'm gonna make it clear for you . . . This is the estimated earnings for a particular period (Maybe one day or one week or as per your selection in the period section) and it can be changed automatically. Though it doesn't change much. In most of the cases estimated earnings remain same even when it's finalized. But sometimes you may experience change only by few cents. The number of time a user views your page displaying AdSense Ads. 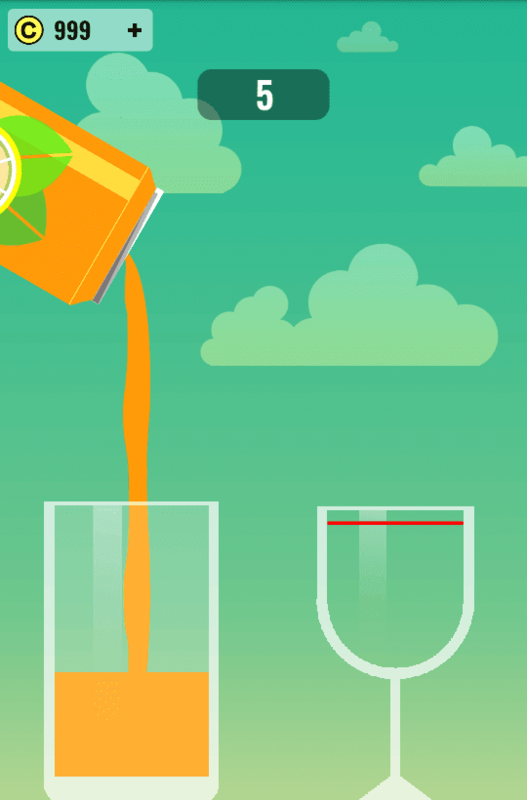 AdSense will count only one view even if there are multiple ads. An impression is counted for each ad requested that returns at least one ad to the website. For example - your site contains 3 ads. 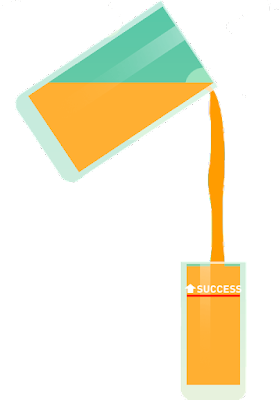 If your site is viewed for 10 times and all the ads are displayed properly, then your impression will be 30. Page CTR : The number of ads clicked divided by the number of page views. Impression CTR : The number of ads clicked divided by the number of ad impressions. The amount that an advertiser pays for each click. You can calculate it as - Estimated Earnings divided by the number of clicks made by the visitors. Page RPM: The average earnings per thousand page views. Mathematically you can say, Page RPM = (Estimated Earnings/ Number of Page Views) * 1000. Impression RPM: The average earnings per thousand impressions. Or you can say, Impression RPM = (Estimated Earnings / Impressions) * 1000. I've modified the explanations little bit. If you would like to read the terms directly as Google says, then read this help page and scroll down to the Performance section . 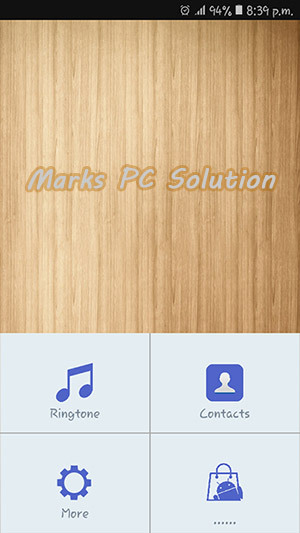 . .
With Ringtone Maker you can easily cut the favourite part of favourite song and use it as ringtone. If you search for ringtone maker in Google Play, there will be thousands of this kind. But I would like to recommend you this one which is developed by MeiHillman. I've personally used this app and finished my work with proper convenience. 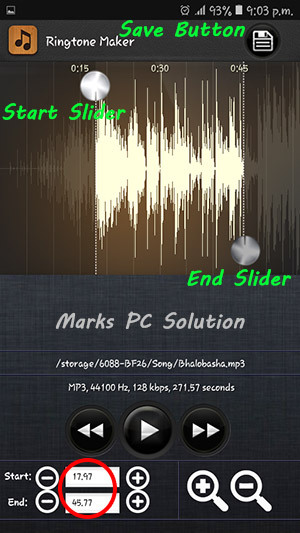 Directly Assign the Tone as Music, Alarm or Ringtone from this app. 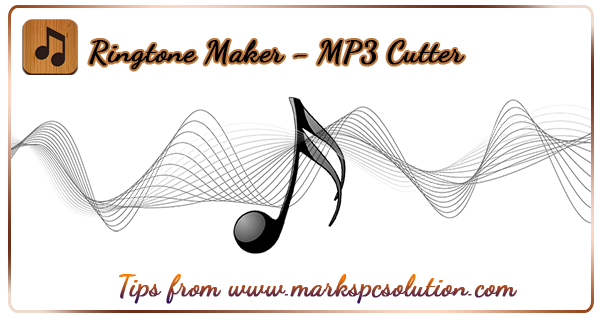 Ringtone Maker | How to Use? 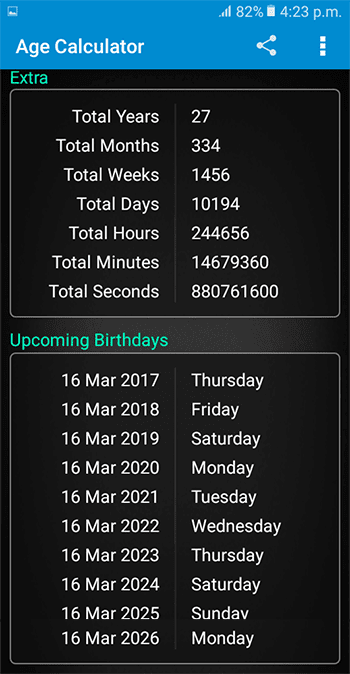 Download the app from the above link. Install & run the application. Tap on the Ringtone option. Now you will see the audio list of your phone. You can also scan your memory to get the audio files. Now tap and hold on a song/ audio and choose the Edit option. Here you can choose the Start and End of the audio that you wanna cut. You can set the time by moving the sliders or you can also set it by entering the value (Consider the value in second instead of minute). Now hit on the play button to test your ringtone. If everything is okay then hit on the save button from the top right corner. Choose your type - Music/ Ringtone/ Alarm/ Notification > Choose a Name > Save it. That's it. 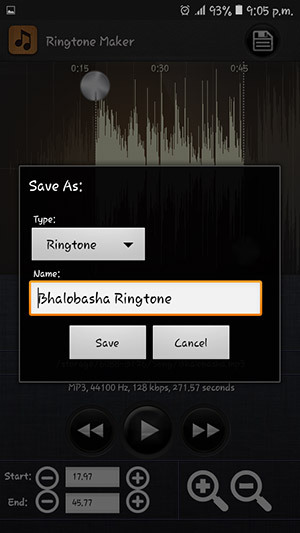 If you like to create your own ringtone, then you're gonna love this app . . . 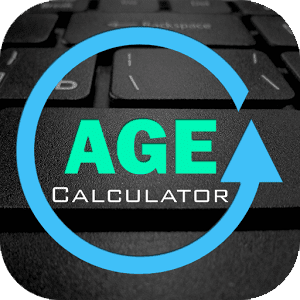 Most of the calculator apps don't have date calculation feature. By default Windows 7, 8 and 10 have date calculation option. But I'm almost sure that this feature is missing in your smartphone. 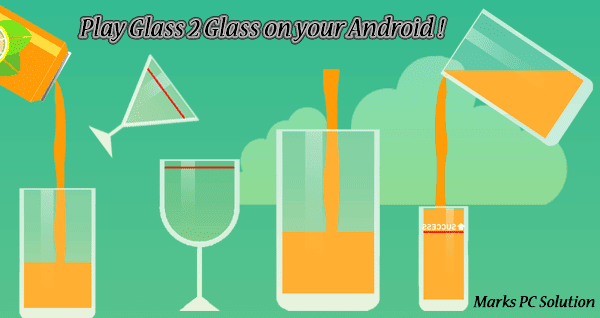 So, I'm gonna recommend an app for you from Google Play . . . 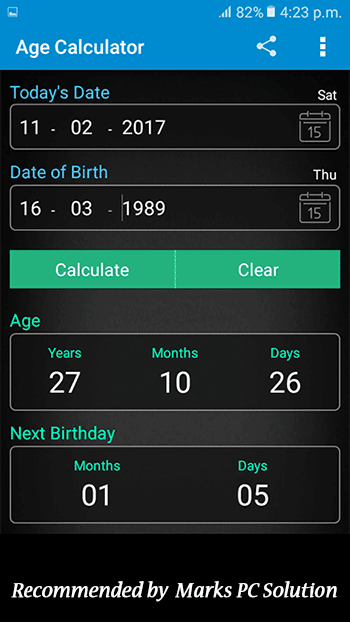 Calculate the date/ age in terms of years, months, weeks, days, hours, minutes and seconds. Follow the above link and download the app from there. Hope you're gonna love it . . .